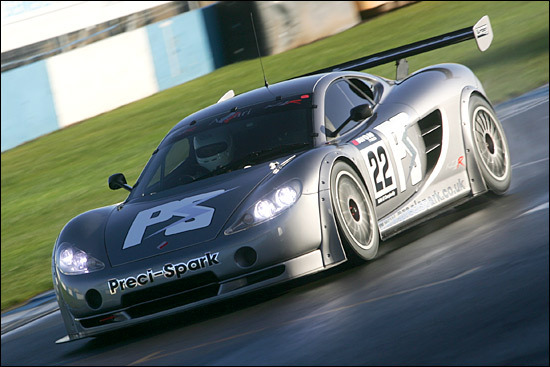 This is the Preci-Spark Ascari KZ1R (below) being tested at Donington Park last Thursday (November 23). The Jones brothers - David and Godfrey - faded out of the British GT scene at the start of this season, but the acquisition of an Ascari (for GT3) has reignited their enthusiasm. "If they can get the mix and the competition right, I think 2007 should be a very good season," comments Godfrey Jones. He and his bother David are expecting up to 20 GT3 cars to contest what seems likely to be the top class of the Avon Tyres British Championship. 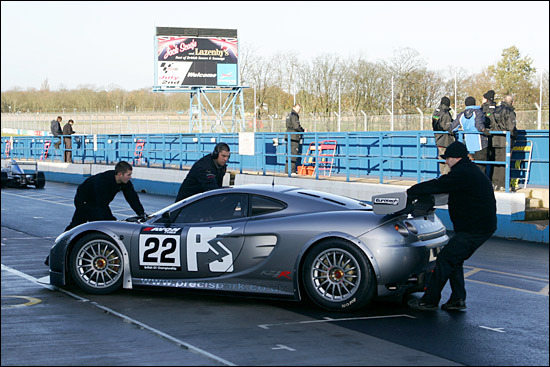 This was actually the pair's fifth test of their new Ascari. "We were really tyre testing," continues Godfrey Jones, "but by the time the track dried out, we didn't have time to get through all the tyres we wanted to try. Anyway, the test was brought to a halt by a fuel starvation problem (after deliberately running the car out of fuel)." 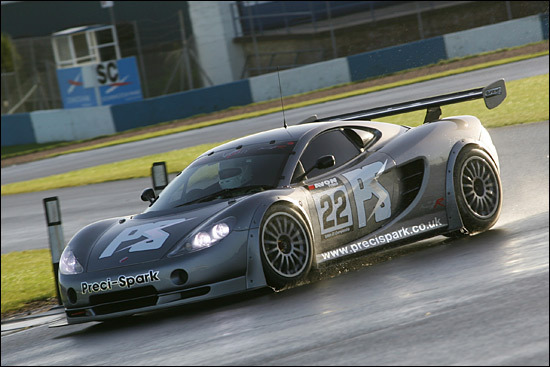 The plan for the Preci-Spark backed Ascari is a full season of British GTs, the Spa 24 Hours - "and we might take in an FIA round". Testing will resume in the new year. The Ascari is being run by Mike Jordan's Eurotech, which has looked after the David and Godfrey Jones Porsches for many years.